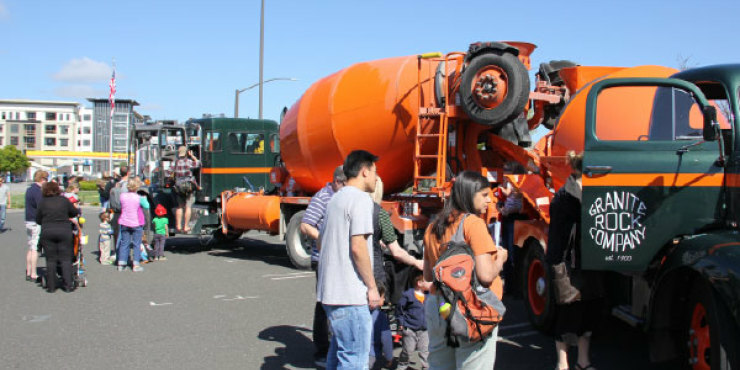 At Touch-A-Truck Day, Graniterock opened up the cabs of a 1955 concrete mixer truck and a new modern concrete mixer for children to explore during a fundraiser held April 5, 2014 for Open Gate Nursery School in Redwood City. 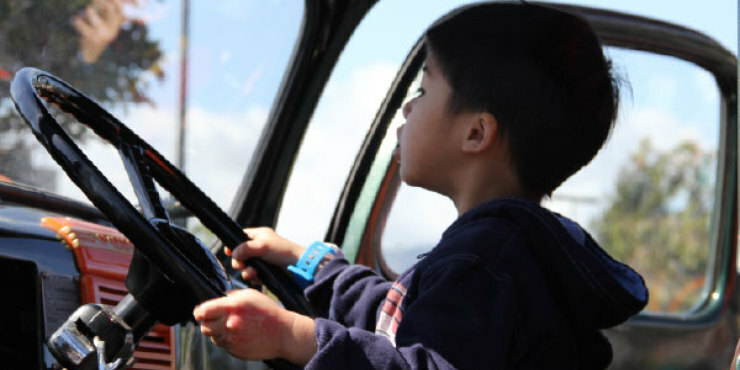 Hundreds of preschool students had a blast during the third annual interactive Touch-A-Truck event, which encouraged the youngsters to touch, climb on and ask questions about their favorite trucks in a safe, supervised environment. The children were thrilled to sit behind the steering wheels of such big trucks and see them up close. 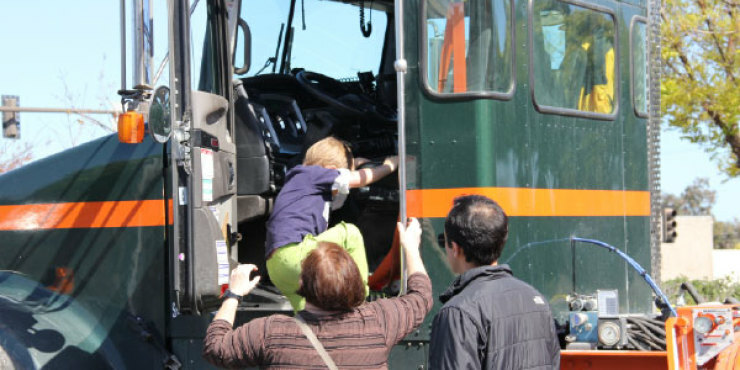 Rose Ann Woolpert was on hand to read and sign Engine Number Ten, her nearly true tale of the steam engine that lived in the Graniterock A. R. Wilson Quarry and now is on display at the Sacramento Rail Museum. The book is available at www.enginenumberten.com.